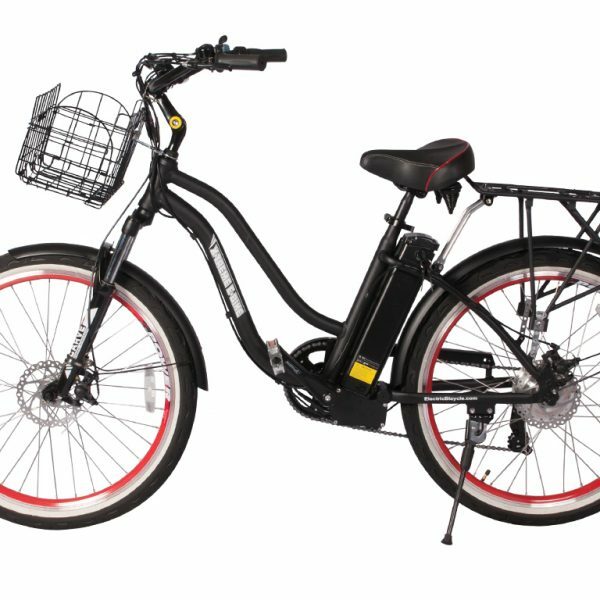 The Hanalei 36 Volt Step-Through Electric Beach Cruiser Bicycle is a Lithium Battery powered Electric Bicycle cranking out 350 watts from the rear hub motor. 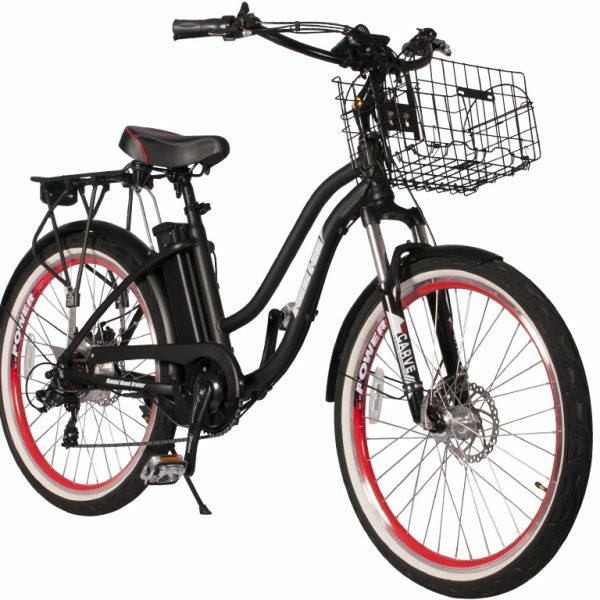 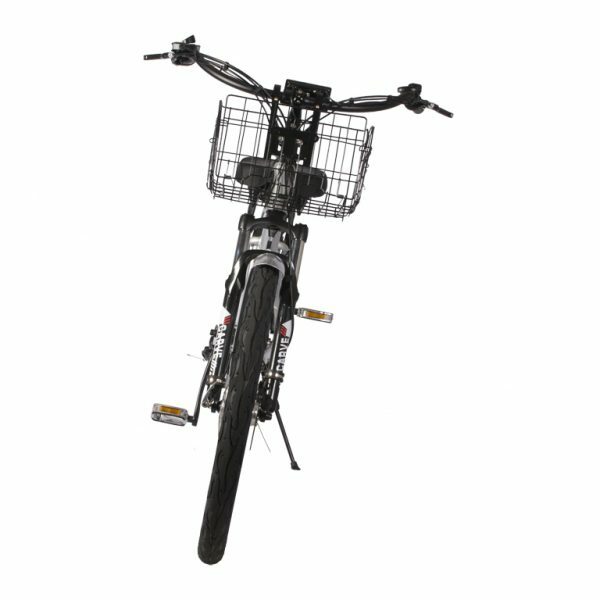 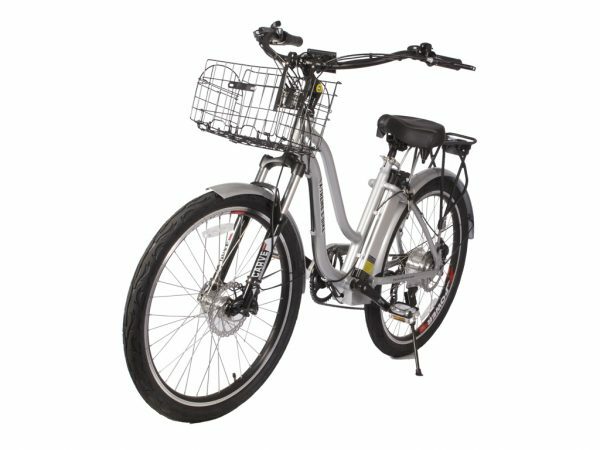 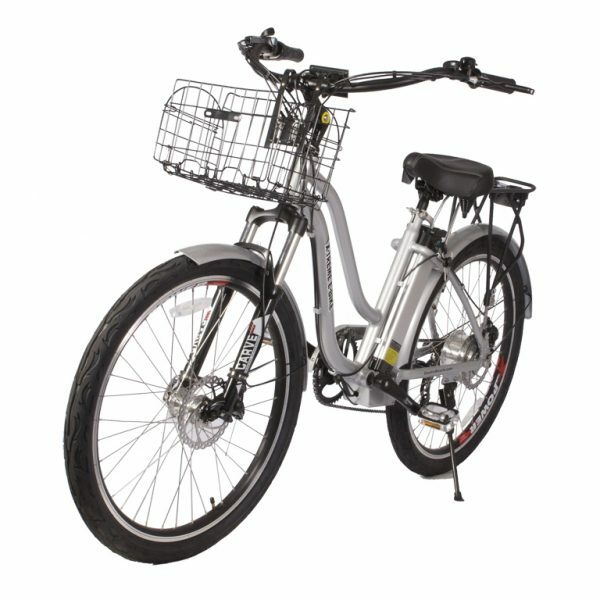 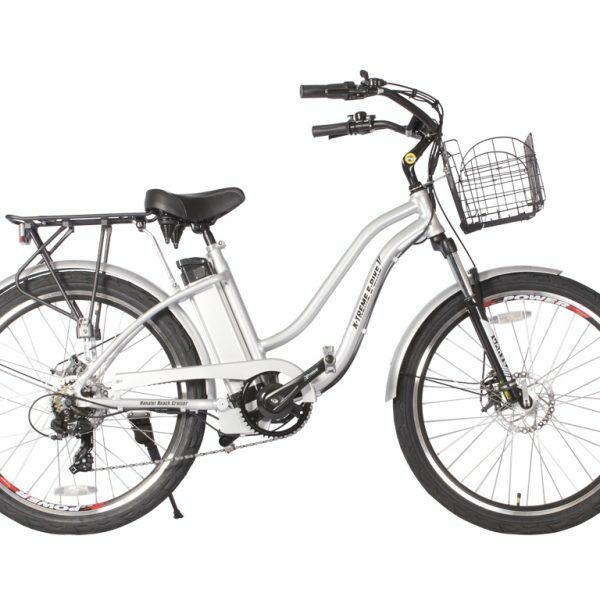 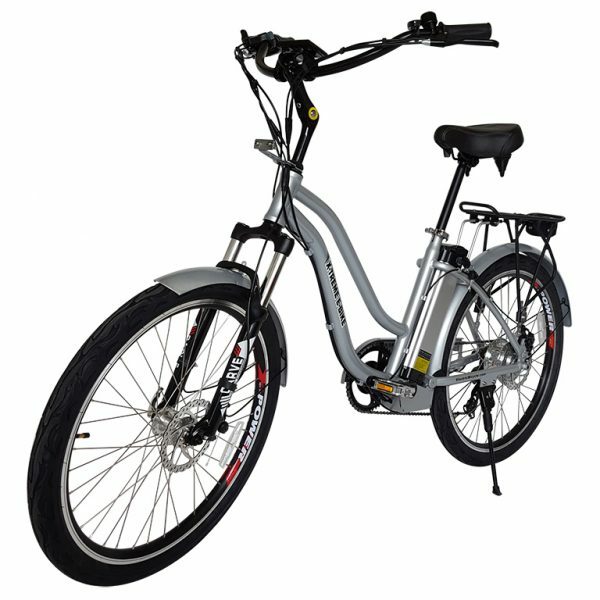 This bike features a lightweight lithium LiFePo4 36 volt 10Ah battery pack providing a considerable amount of power greater than our other 24 volt beach cruiser models. 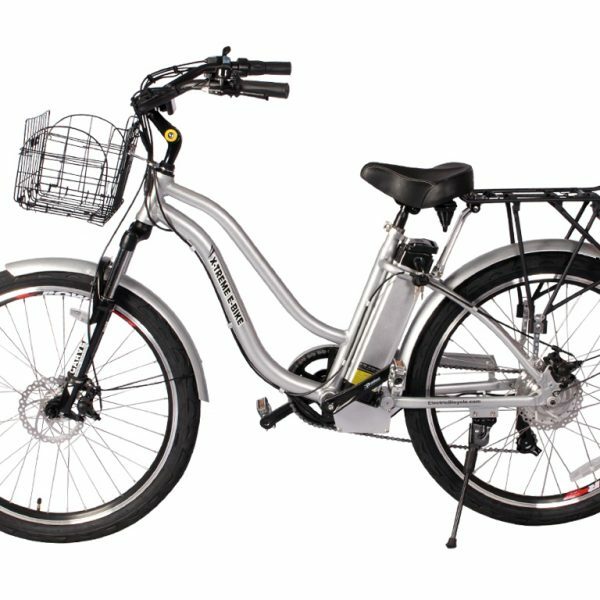 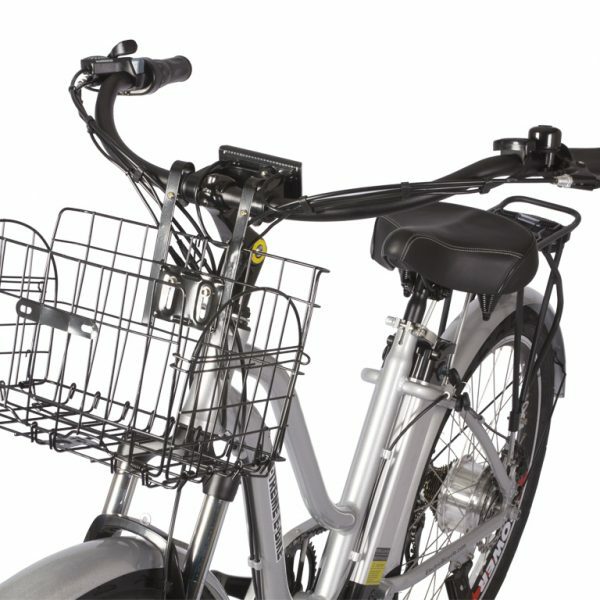 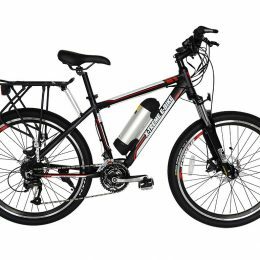 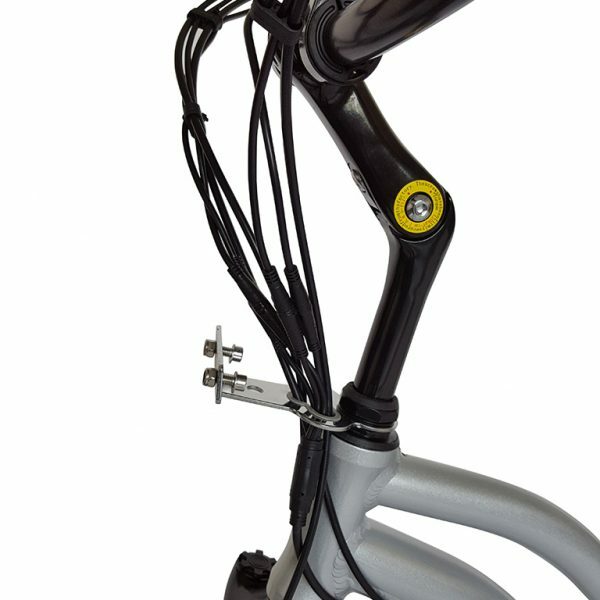 The 100% hand welded lightweight alloy aluminum frame bicycle has our 7-Speed Shimano Tourney® Gears & Shifter System, Kenda® Bicycle Tires, aluminum rims with quick release axle on the front and a water proof quick disconnect on the rear. 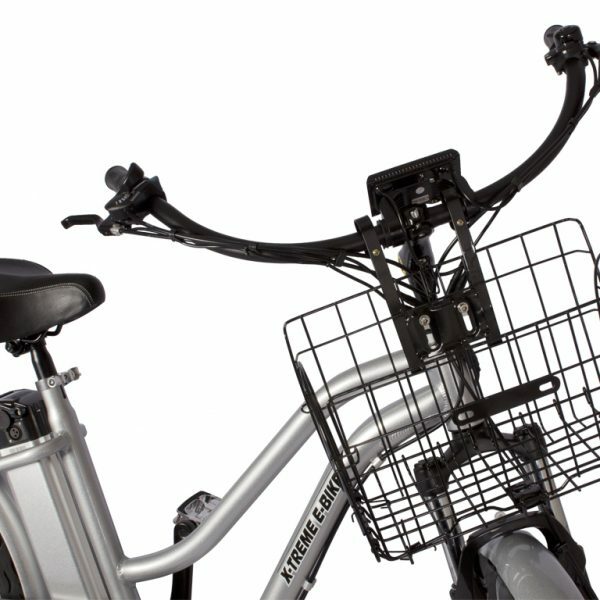 The Hanalei comes equipped with our Smart Power Assist System (SPAS). 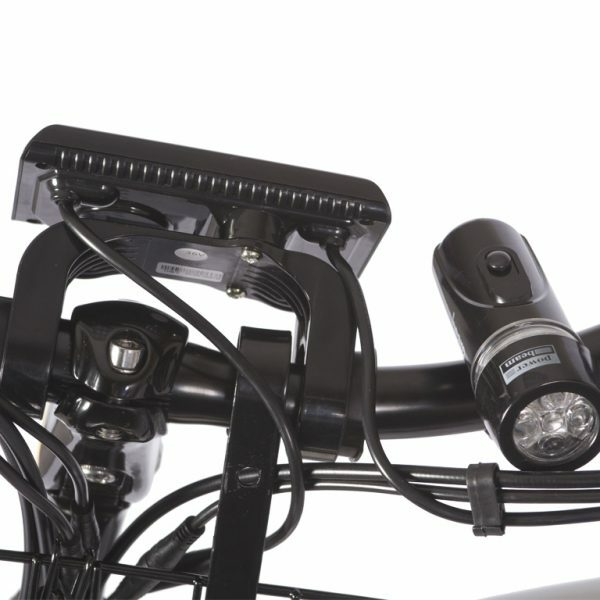 The electronics of the X-Treme Electric Bicycle are controller via rider input on the LCD screen attached to the handlebars. 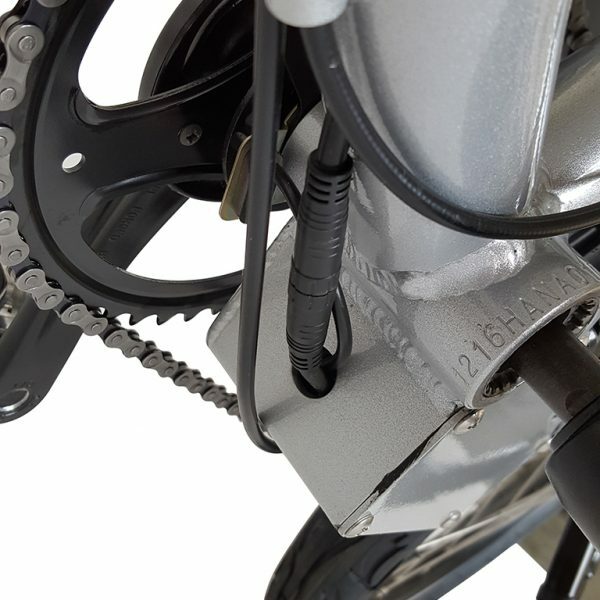 Smart PAS with 5 speeds will enable the bike to operate nearly twice as efficient as a non-smart assist e-bike because you can select the power consumption (speed controls 1-5 setting) on the LCD during your ride. 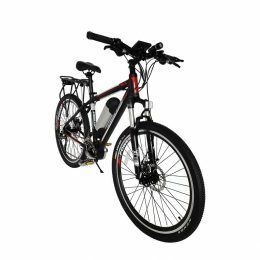 This feature will allow you Hanalei 36 Volt to possibly reach or exceed 35 miles per charge (during optimal terrain conditions). 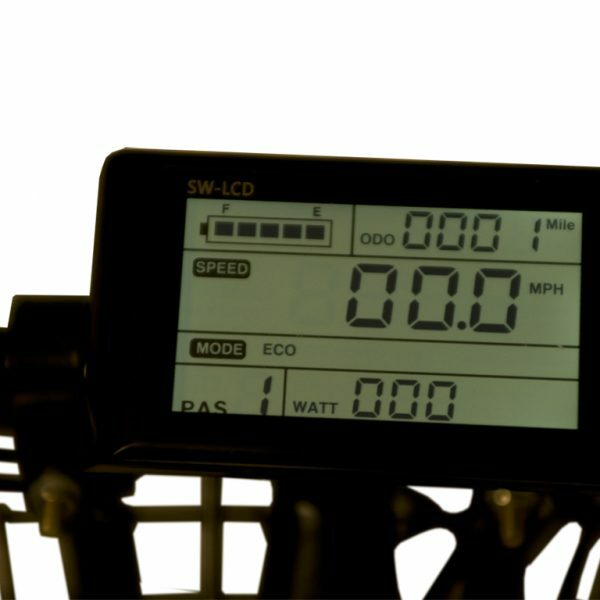 The LCD also indicates Speed, Distance and Battery Life. 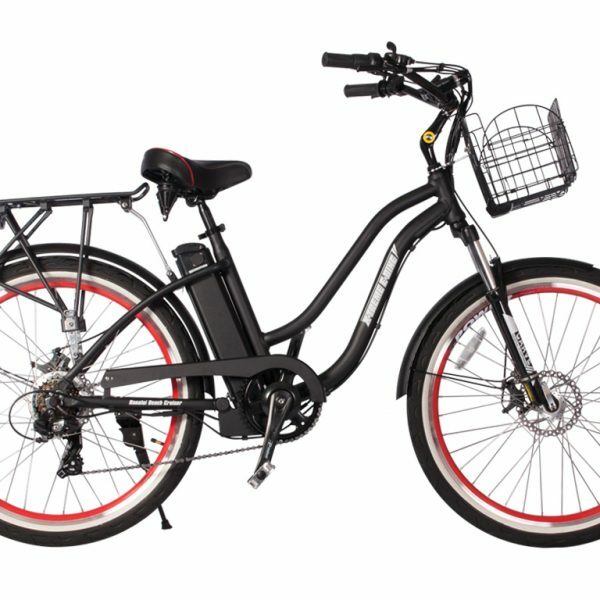 The Hanalei 36 Volt Beach Cruiser Bicycle has a top speed of 23 MPH (faster if you pedal) which is faster than any model we sell and will go the distance of up to 25 miles using power only and up to 35 miles per hour using the SPAS. 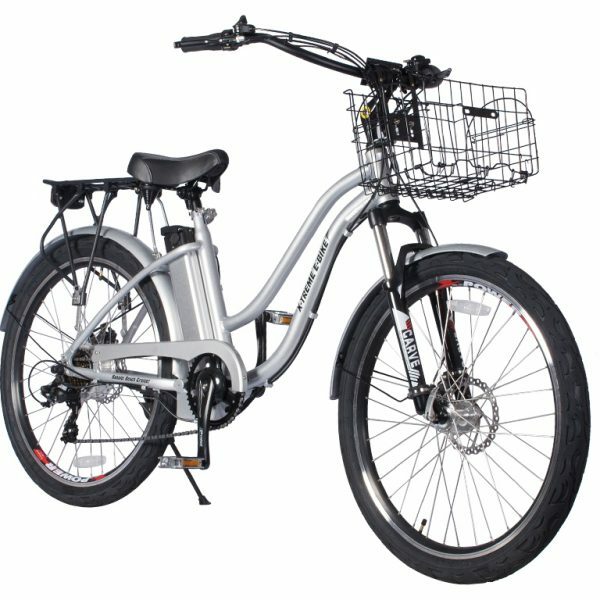 The LiFePo4 lithium battery pack is lightweight, compact and mounts to the frame below the seat and is hardly noticeable since it matches the color of you bicycle frame. 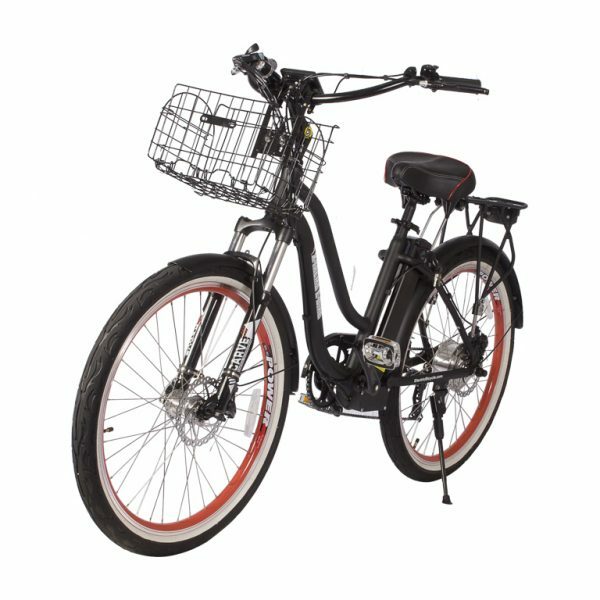 Front & rear disk brakes are standard on the Hanalei 36 Volt Electric Beach Cruiser along with the RST Carve Hydraulic Front Forks and a oversized comfy beach cruiser seat with dual springs to soften your ride!